Composed by Various. Big Note Songbook. TV, Movies, Halloween. Softcover. 64 pages. 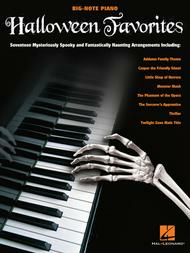 Published by Hal Leonard (HL.312305). 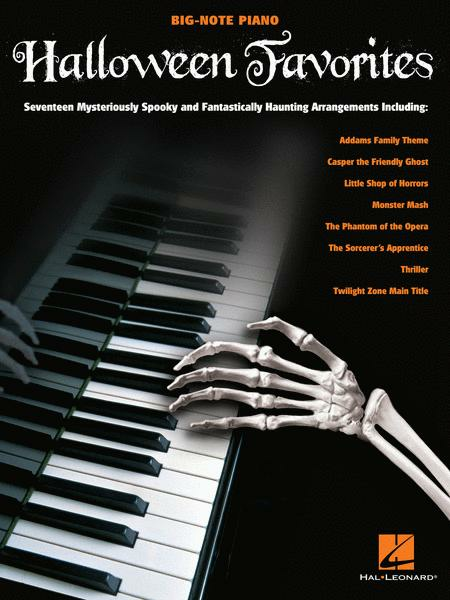 Here are mysteriously spooky and fantastically haunting arrangements of 17 favorites: Addams Family Theme • Funeral March • Theme from “Jaws” • Monster Mash • The Munsters Theme • The Phantom of the Opera • Psycho (Prelude) • The Sorcerer's Apprentice • Thriller • Tubular Bells • Twilight Zone Main Title • and more!